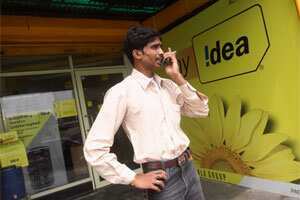 Mumbai: Idea Cellular, the country’s fourth-biggest mobile phone carrier by subscribers, on Wednesday launched two low-cost smartphone models as it strives to boost usage of third-generation (3G) wireless data services in a price-sensitive market. The touchscreen smartphones, based on the Android operating system, are being sourced from Chinese firms Huawei and ZTE, Idea’s managing director Himanshu Kapania told reporters in Mumbai, adding that the company was also studying if it could enter the tablet PC market. “We are not competing with handset makers. We want to provide customers a low entry-point for smartphones," he said. Smartphones accounted for 6% of the total mobile device sales during the three months to September, said technology researcher Gartner, which expects the share to increase to 8% by next year. With more than 870 million mobile connections, India is the world’s second-biggest wireless services market after China. Indian mobile carriers including Idea launched 3G networks this year after paying a total of more than $20 billion to buy 3G radio airwaves in a state auction last year. The companies are betting on the pick up of the premium services to increase margins although initial uptake has been slower than expected.